GRAIN Trade Australia (GTA) is initiating the grain industry’s first universal set of post-farmgate safety guidelines which are aimed at making its many and varied workplaces as safe as possible. GTA CEO Pat O’Shannassy said the guidelines have been developed following a recommendation from GTA’s Transport, Storage and Ports Committee. “The committee suggested GTA develop and share some specific grain-industry safety guidelines as a potential reference tool and a guide,” Mr O’Shannassy said. “A serious workplace injury or death can change lives forever for those affected, which includes families, friends, communities and co-workers. Workplaces of GTA members include processing plants, ports, container-packing sites and storage facilities. 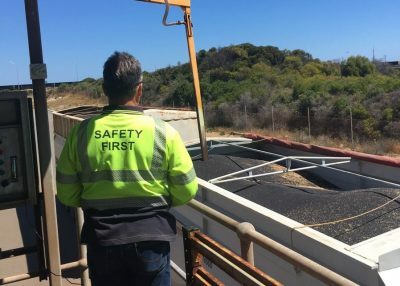 While many have stringent guidelines about safety in the workplace, Mr O’Shannassy said all members were being asked to look at where there was room for improvement. Speaking out about safety and risk is welcomed and supported. The draft document was sent to members last week, and submissions on the proposed guidelines are due by close of business on Friday.